Howard Engineering and Geology, Inc. welcomed Carlie Farley in October of 1990. 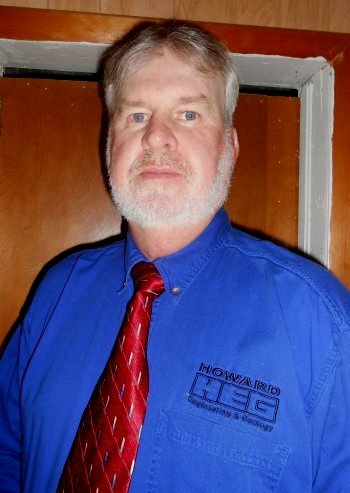 Carlie was the third person to begin work for Howard Engineering and Geology, Inc., joining co-founders Tim and David. With more than 32 years of experience as an Engineering Technician, Carlie conducts pre-blast surveys and ground water inventories. He also works as a Land Surveyor. Carlie can be reached by dialing extension 126.